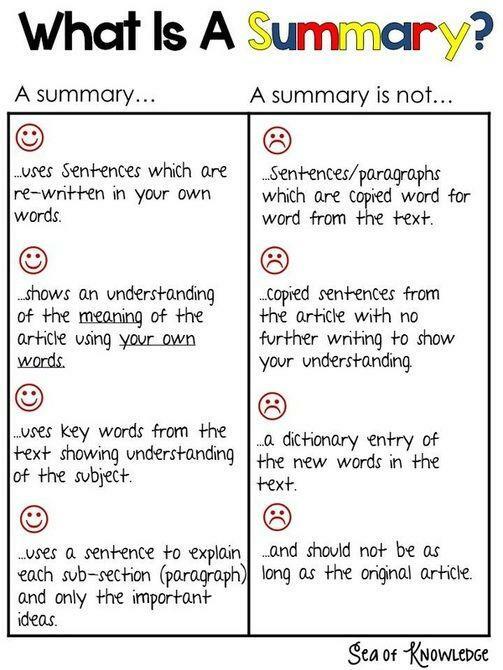 Perfect summary writing is a good opportunity for every student to earn extra credit points. So, if you are new to writing a summary, begin with a thorough reading and analysis of the source text. To produce a good summary, you must understand the message the author is trying to send, the tone of the work, its purpose and intent. One of the best things to do is to divide the source text into pieces and use them as an outline for your own summary. This way, you will find it much easier to understand the text and its meaning. You may underline the areas you like the most or feel to be important for your summary. Once you are done with reading the text, list all major ideas and messages you find in the text. Organize them logically according to their priority and the sequence in which they are presented in the main text. Imagine that you are developing a brief overview of the chosen text. Begin with an attractive, fascinating introduction. In your introductory paragraph, make sure to present the key ideas of the source text. You should specify the author, the title of the text, and the publication details, if needed. Then write the main body of your summary, describing and summarizing the key ideas shared by the author. Elaborate on them. Include some examples from the source text. When you are done, develop a short conclusion to summarize your findings. If you want to learn how to write a good summary, then don't forget to include citations and references. You will have to cite your author, so try your best to avoid plagiarism. In summary writing, all ideas must be presented in present tense. Your main task is to read through and understand the chosen text in its entirety. You must have no doubts as to what the author is saying and why. If you feel confused about the text, then it is still too early for you to begin your writing. Whenever you cite or reference the author, make sure you don't confuse the original words. You must be accurate and precise in your citations. When the paper is finished, revise it. You may wish to improve your grammar and style before you submit the finished paper for review. Ask someone else to read through your work. If the reader can identify the main idea of your work, then you have done a good job. A perfect summary writing will not include any personal information. In summary writing, you don't need to interpret the original information so that the reader can understand it. Your task is simply to summarize the original text. Therefore, keep from including any personal judgments or critical comments regarding the source text. Also, if the author expresses numerous ideas, don't try to grasp them all. In your summary paper, focus on the most important ones. Avoid excess details and be concise. Research paper summary is a comprehensive and brief abstract of stated texts in a research paper. It is a shorter version of the research paper. It highlights the main points of an exhaustive research paper. The main objective is to inform audience or readers the gist in a brief period of time. A research paper summary begins with a lead. It includes title, profile of the author, academic discipline and key points of the text. The structure of a research paper summary has a well defined structure. It is paraphrased using new words. Quotations embedded in the original text of the research paper are avoided. It is neither a retelling nor it has a dramatic structure. It is written in present tense. It may be historic present. Research paper summary is written in indirect speech. Depictions are not allowed. Writing and presenting a research paper summary has several advantages. The researcher gets an opportunity to revise the entire research paper. Editing and proof reading take place spontaneously. The teacher who reads the research paper summary may advise certain revisions and modifications to make the research paper more effective and impressive. Journals and periodicals prefer to publish such summary or abstract independently or as a prologue to a research paper. The reader and audience know beforehand the key points raised and solved in the research paper. This gives them impetus to read the entire research paper afterwards. Research paper summary may be required to be presented in written form as a hard copy. Many a times, such summary is prepared for audio presentation where the researcher reads out the summary before a selected audience. This, sometimes, is followed by question and answer session. These days audio-visual presentation is being preferred. The research paper summary is composed in a power point presentation. This has an added advantage of presenting key graphs and tables before the audience. Such PP presentation may also be linked to the actual source and information. Such needs seldom arise. However, this adds confidence in the speaker and he is ready for any attack on the reliability and factuality of the research paper. The actual research work is very tiresome and painstaking. It takes months of researching and accumulating of information and data followed by patient sittings to write as per the research paper rubric provided by the teacher, the sponsoring institute or organization. It becomes quite difficult for a researcher to sit again and write a comprehensive summary. At this point of time, he frantically searches for a bona fide online research paper summary writing service that could assist him to ease the additional workload. Where to Buy Perfect Research Summary Writing? 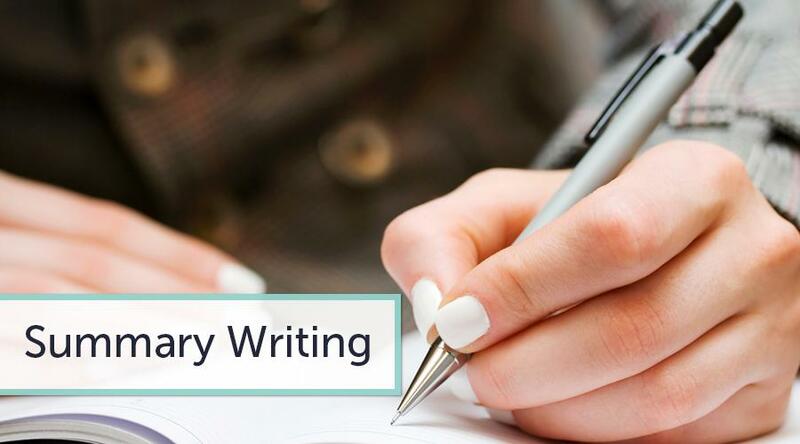 Online custom writing service has a separate wing of highly qualified and experienced professional who are quite proficient in writing a research paper summary provided the details are provided to them. All you have to do is to visit our portal and fill in the order form. You shall have to attach a copy of your research paper together with the specified payment. In the order form, you should also indicate the format in which you need your summary paper. You may need a hard copy in a particular font and font size with title page. You should indicate your entire requirement in the order form along with the expected time of delivery. Completed research paper summary shall be uploaded on your email address according to deadline.